We developed a B2C-PR strategy to position Sunny Cars as an expert for “free time and vacationing by car” with end consumers. The main focus was not the rental car product, but utilizing the entire range of related topics. Creative expert tips, press releases and targeted media relations placed Sunny Cars directly in the media. Its brand recognition was additionally strengthened through events and media cooperation. Selected influencers used social media and blog posts to present Sunny Cars to their readers as the top choice among rental car providers. The result of the PR strategy was a great media echo. The Hessische Hausstiftung has an extraordinary touristic portfolio (including Grandhotel Hessischer Hof, Schlosshotel Kronberg, Weingut Prinz von Hessen, Güterverwaltung). Wilde & Partner conceptualizes a mission statement and an overall brand strategy for the House of Hesse in order to increase the brand appeal of all entities of the Hessische Hausstiftung. Wilde & Partner defines core values equally applicable to every entity of the Hessische Hausstiftung. 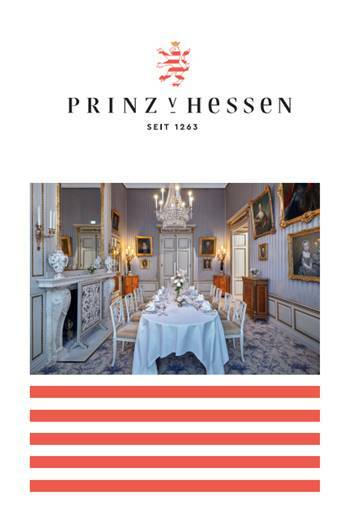 At the ITB 2019, Donatus Earl of Hesse presents the new corporate brand “Prince of Hesse”, which modernizes the special history of the House of Hesse.